“The FTA has announced that from November 2018, eligible tourists will be able to receive a proportion of the VAT as a refund when they shop at registered stores,” said an invitation sent to retailers and tax consultancies across the UAE by the FTA and the Dubai Chamber of Commerce and Industry to brief them about how to register for the tourist refund scheme. “We wish to invite you to an event organised by the FTA and their exclusive tax refund operator, Planet, who will be operating the Tourist Refund Scheme ,” said the invite. Planet is an international company, but for the UAE operations and executing the Tourist Refund Scheme in the UAE, a Special Purpose Vehicle (SPV) has been set up, and the project will be executed by Planet along with local partners. The FTA had earlier announced that the VAT refund scheme will be implemented from the fourth quarter of 2018. The invite revealed that all eligible retailers will be able to register for the Tax Refund Scheme from September 10. The first briefing for retailers will be held in Abu Dhabi on September 11 and the next day in Dubai. The FTA had said that outlets and points of sales across the country will be connected for the tourist refund scheme. 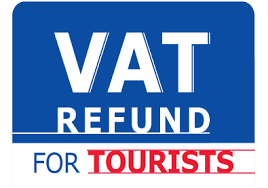 Revealing conditions and procedures for tourist VAT refunds, the FTA had said that tourists need to have purchased goods from retailers registered in the system.